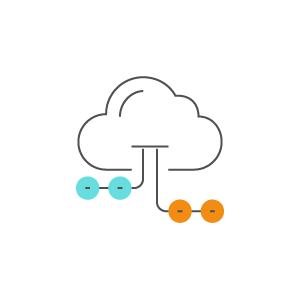 The Cloud Division is designed to help organizations achieve their hosted IT and communication goals by delivering innovative solutions supported by in-depth research, specific client application, and a dedication to a best-in-industry customer experience. Looking at the marketplace, we recognized one universal trend: Businesses and organizations of all sizes desire one technology partner to handle all their Cloud based IT/communication solutions. The market is flooded with options and providers of all walks who claim to be the best at what they deliver. More businesses are turning toward the cloud for their telephony needs as they recognize the cost savings both from dollars spent (cap ex vs. op ex.) and time/energy spent maintaining a business phone system. Because today’s hosted voice solutions come with similar feature sets as enterprise grade premise offerings, we are able to empower all sizes of business with 21st century voice. Traditionally, video conferencing has been difficult, for both end users as well as administrators. Those days are gone. With hosted video solutions from IQbusiness you are able to empower your organization with best of breed video experience without the lag and cumbersome initiation process found in typical (free) video chat options.